#1 This is my first monthly round up…get used to them! #2 I’m thinking about doing a monthly beauty round up too. #4 I’ve clearly worn my Gap skinny jeans too much this month. #6 I hate that it gets dark at 4:30 PM it makes taking pictures 100000 times harder! #8 December starts Saturday so expect lots of holiday glam fashion including TONS of sparkle! 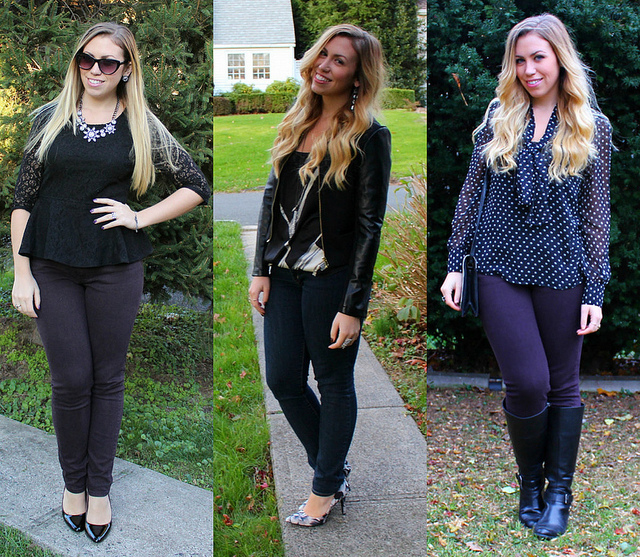 Love your November round up and all of your cute outfits!! I love this sort of posts and working on mine November roundup myself. You look stunning in all your looks doll. Welcome to the round up club! I love looking at everyones round ups. Your November outfits are very cute. Look #2 is my favorite … It is very flattering. Cute outfits! I love all the black, I am a huge fan of wearing black! You look great! Cute outfits! 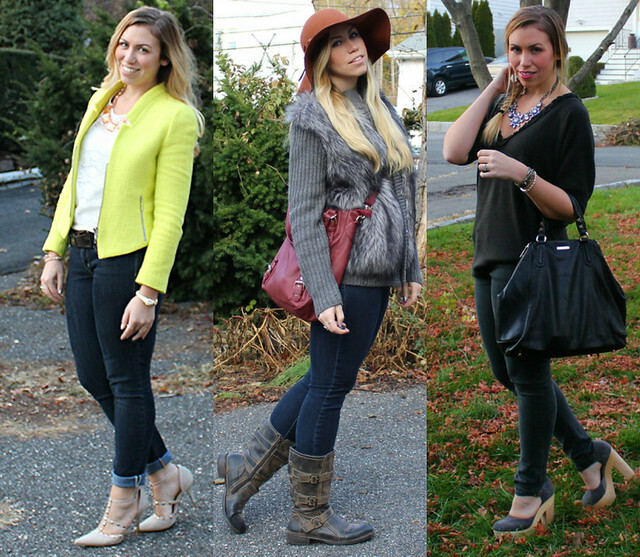 My favorites are the polka dot blouse and the bright yellow blazer! I still love those valentino inspired sheos from shoe dazzle….oh man would I give anything to purchase those. I'm Going Lacy is my favorite! LOVE the color of your blazer and those shoes are just fab! Love the Faux Real look – screams fall to me! You are too cute, girl! Absolutely loving your style!!! You are adorable!! Love your style!